"Rejoice in the Lord always; again I will say rejoice. ​​if there is any excellence and if there is anything worthy of praise, think about these things. Rev. Mark F. Sturgess is the son of a Presbyterian minister, raised in the small church tradition of rural Missouri. Mark graduated from Northwestern University, Evanston, IL, where he received Bachelor degrees in Computer Studies (B.A.) and Pipe Organ Performance (B.M.). Mark received the Master of Divinity degree, with honors, from Austin Presbyterian Theological Seminary, Austin Texas. At Northwestern, Mark was a student of the concert organist Wolfgang Rübsam, with whom Mark specialized in 19th and early 20th century French organ repertoire and period keyboard technique of the Baroque era. Mark has appeared in recital at the RLDS Auditorium, Independence Missouri, Rockefeller Chapel, University of Chicago, Christ Church Cathedral of St. Louis, and for the mid-Missouri chapter of the American Guild of Organists. Mark is also a singer -- bass baritone -- and has been a member of the Camerata Singers of Long Beach for over 15 years. After graduating Northwestern in 1991, Mark was hired by a Chicago based consulting firm and was promptly transferred to Southern California. Mark’s first career was in database design and systems analysis for major manufacturing companies. “When I heard the call to ministry I was terrified of public speaking; biblically, that didn't seem to be a decisive excuse. Through the encouragement of others, I recognized that God was calling me to be a pastor.” In 2002, Mark was ordained in the Presbyterian Church (USA) and in June 2014 was admitted as a full Elder in California-Pacific Annual Conference of The United Methodist Church. Rev. 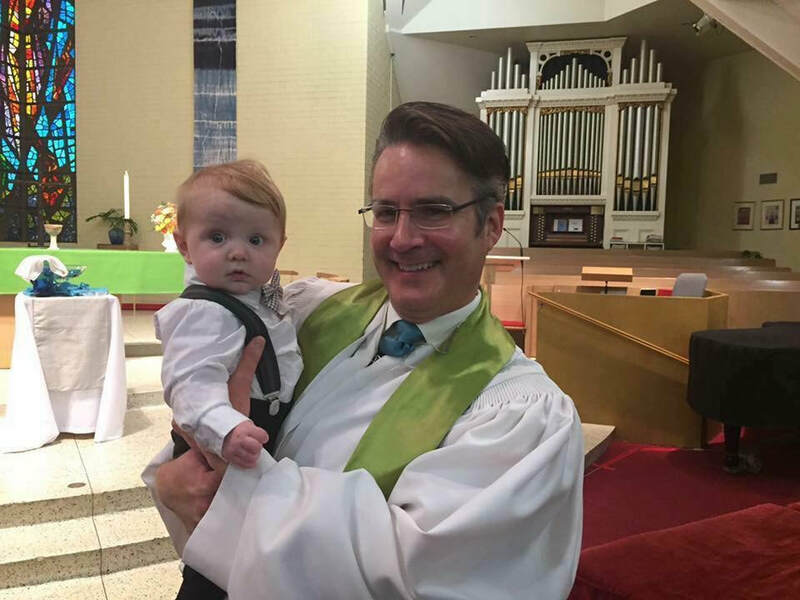 Sturgess served as associate pastor of First United Methodist Church of Torrance, CA for six years, and as Sr. Pastor of Riviera United Methodist Church of Redondo Beach, CA from 2008 to 2016. Under Pastor Mark's leadership, Riviera UMC received over 115 new members, 46% of those by Profession of Faith. At Riviera, Mark presided over the Baptism of 9 Adults, 23 Children and led 21 youth to affirm their faith through confirmation. In July 2016 Mark was appointed as Lead Pastor of Los Altos United Methodist Church, where he serves alongside the Pastor of Family Ministry, Rev. Melinda Dodge. Los Altos is a large suburban congregation with over 600 members, three Sunday morning services and energetic mid-week gathering. Mark's gifts and passions for ministry include preaching, teaching and worship; coaching traditional congregations to spiritual health and vitality; post-modern biblical interpretation; and advocacy for full inclusion of LGBT Christians in the life the church.